Our weekly Anglican / Methodist youth group is for young people in school years 7 to 11. The group meets on Wednesdays through term-time from 7.30pm until 9pm at Waddington Methodist Church. 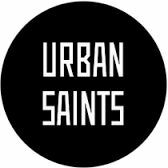 We follow a programme developed by Urban Saints, combined with games, trips and lots of fun!